A new Tumblr is taking the internet by storm this holiday weekend, and its cringeworthy content is enough to give you a massive post-Thanksgiving day headache. 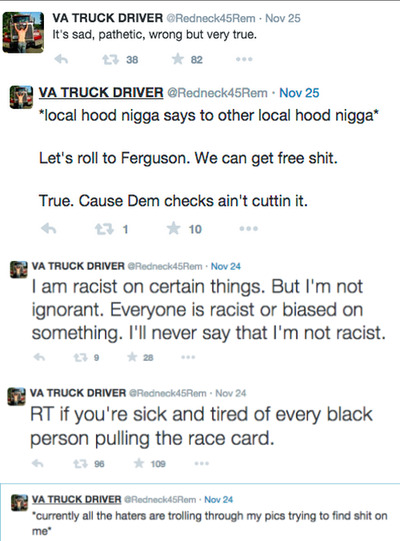 It’s called “Racists Getting Fired,” and the premise is exactly what you suspect it is: People who make racist comments on social media end up getting fired after this Tumblr’s curator finds their employer and contacts them with evidence of their racist remarks. 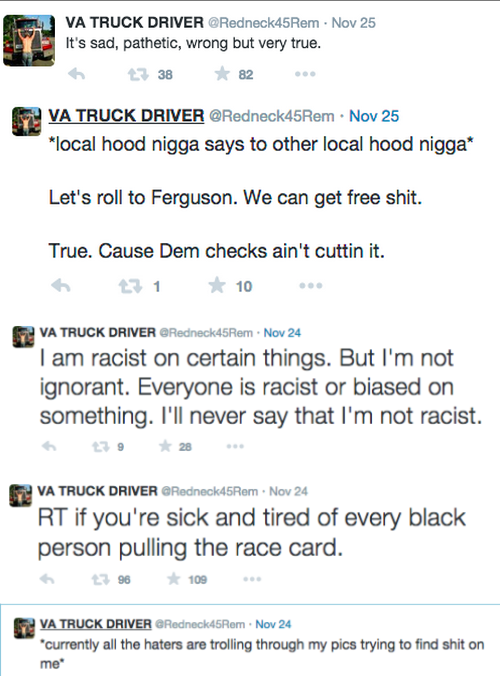 A young man who goes by VA Truck Driver on Twitter tweeted the following remarks about the riots that took place in Ferguson, MO last week. 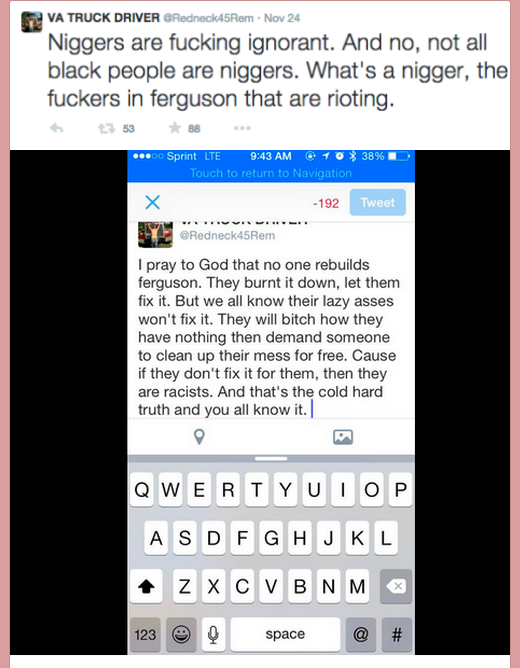 He then continued his racist diatribe, bragging about how the “trolls” would never find out who he was. That helped those behind the Tumblr page find his Facebook page, which also included the name of his employer.